Instead of paying Lil Wayne royalties on his Young Money artists Drake, Nicki Minaj and Tyga, Universal has been diverting those funds to pay off the money Birdman owes to the music giant. That’s what Weezy claims in a new lawsuit he just filed against Universal. Here’s some background: In 1998, Cash Money received a huge advance from Universal, which was to be paid back with 20 percent of CM’s future profits. Then, in 2003, Lil Wayne formed Young Money under Cash Money. 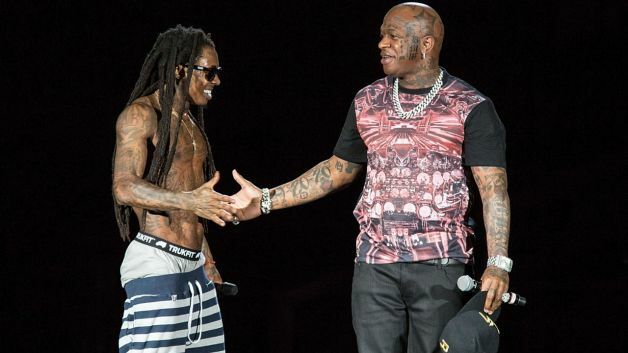 The terms of that deal gave Birdman 51 percent of YM’s profits, with Wayne getting 49 percent. What Wayne seems to saying in his suit is that Universal has no right to use 100 percent of his YM artists’ profits to pay down Birdman’s 20 percent — since 49 percent of those profits belong to him. Tunechi is seeking at least $40 million from Universal. This is separate from his suit against Baby, which seeks $51 million. Universal denied that they owe Wayne anything. and even his steel much better personal image. of this subject, produced me personally consider it from numerous various angles. Its like men and women are not fascinated unless it is something to do with Girl gaga!